Carolyn Rohaly has been a fixture in Toronto’s fashion scene for nearly two decades. During that time, she’s watched the industry grow tenfold, and she’s seen a lot of behind-the-scenes drama. 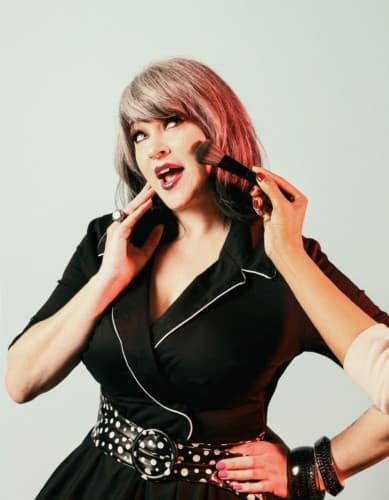 Combining her love for fashion and the juicy details of working backstage at Toronto Fashion Week, she’s written a fictional tell-all, Military Chic. Hours before the book launch at Doll Factory at Damzels on Roncy, we caught up with Carolyn to get the inside scoop on the city’s best-dressed scene. SDTC: What’s the inspiration behind Military Chic? Was there a particular event that birthed the idea of a book? Or has it been something on your mind for many years? CR: I was inspired by Toronto Fashion Week. When I volunteered there, it was my first experience working in the fashion and entertainment industry and my mind was blown! Whenever anything crazy happened, I thought, “This would make a FANTASTIC story!” Something would happen backstage, it would become a seed in my mind, then I’d daydream about how it could be even crazier and it would become a scene in the book. When was the first year you attended fashion week in Canada? And what vivid memories stick out? In your opinion, what are the biggest shifts that have happened in the Canadian fashion world since then? Bloggers, social media and the democratization of fashion shows. I love how all those elements have shifted fashion, not just in Canada but all over the world. I was one of Canada’s first fashion bloggers and I felt like a fashion punk when publicists and show planners didn’t know what to do with us. Now the fashion bloggers get all the front-row seats. Who are your favourite Canadian designers? For those who aren’t at all affiliated with the fashion scene in Toronto, what do you want to tell them? What’s your juicy pitch? I’d say that if you’re interested in fashion and always wondered what happens backstage, Military Chic is for you! It pulls back the curtain and gives you a glimpse of what it’s like to produce a fashion show. It’s a perfect entry into the fashion world. 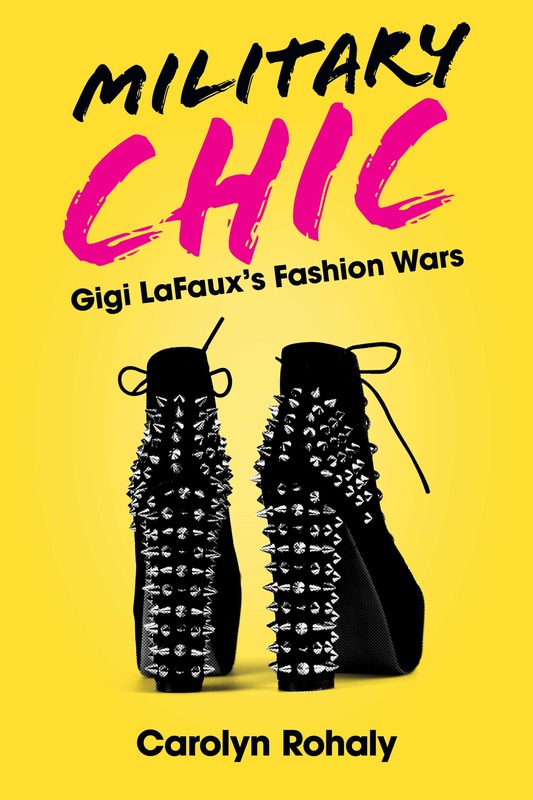 And if you aren’t interested in fashion, read it anyway because it’s a fashion re-telling of The Art of War. It’s a sneaky way of telling people how to be good leaders. What has been the most fulfilling aspect of writing Military Chic? I’ve been so fulfilled by my overall indie DIY approach to publication; it’s like how an indie musician would work on a first release. I love doing everything: writing, website design, social media posts, PR pitches, marketing plans, interviews… It’s a lot of work, but I’m really loving it. I also love the collaboration offered by incredibly talented friends who want to be involved: Manu + Pascal were my glam squad and took my author photos, Phil Leung created a trailer, Lauren Hammersley voiced the trailer, Rory and Kelly from Damzels offered their Roncesvalles store for a VIP launch, Laura Johanson is making food for my party, Adjoa Duncan is creating killer treats, Liisa Ladouceur offered an author chat, and Nathalie Atkinson is including me in her event, Designing the Movies. I guess what I’m saying is I’m most fulfilled by the act of releasing it into the world and receiving incredible support in return for taking that risk. It’s nerve-wracking to ask someone to read your writing. Then when they get back to you and say, “I loved it. How can I help?” Well, the feeling is just wonderful. What outfit in your closet do you feel most yourself in? A Tracee Ellis Ross gold sequin dress paired with PUMA black patent creepers. It’s the perfect outfit: glam + casual. I could wear it to a gala, but it’s comfortable enough to wear while cleaning the house! You can read Military Chic a page a day for FREE @GigiLaFaux on Instagram, Twitter and Facebook. If you’d like to binge-read (it gets really juicy halfway through), you can buy it at www.GigiLaFaux.com.